DAVOS, Switzerland, Jan. 24 (Xinhua) -- Liu He, a senior Chinese official, Wednesday elaborated on the top-level planning of China's economic policy for the next few years at the World Economic Forum (WEF) held in this Swiss resort. "In a nutshell, this policy centers around a key necessity, a main task and three critical battles," said Liu, a member of the Political Bureau of the Communist Party of China Central Committee and director of the General Office of the Central Leading Group for Financial and Economic Affairs. Liu also pledged that China will open wider to the world across the board. 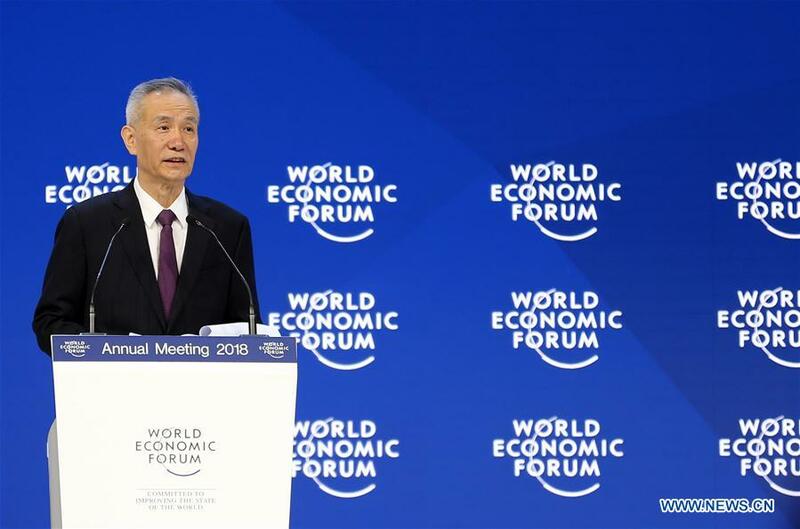 In his speech at the WEF, Liu stressed the necessity to transit the Chinese economy from a phase of rapid growth to one of high-quality development. "Our focus needs to change from 'Is there enough?' to 'Is it good enough? '," he said. Such a transition, he said, is the context in which China formulates its macroeconomic, structural, reform and social policies in the coming years. "China's per capita income is moving up from the current level of 8,000-plus to 10,000 U.S. dollars and even higher. At such a stage of development, China needs to put more emphasis on structural improvement rather than quantity expansion," he said. As China opens up wider to the outside world, this transition to a new model of development will create huge opportunities for many new industries. "It means opportunities for businesses not just in China but across the world," said the senior official. He also outlined some of the tangible benefits already in place. To this point, China's domestic demand has steadily expanded, with consumption contributing 58.8 percent to economic growth, nearly four percentage points higher than five years ago. The added value of the service sector takes up 60 percent of GDP, more than five percentage points higher than five years ago. The principal contradiction in China's economic development, Liu said, is the structural mismatch resulting from the supply side failing to evolve in step with the demand. This aspect of China's economic policy urgently needs to be fixed, he said. The priority at the moment, he emphasized, is to cut excess capacity where necessary, reduce inventory in the housing sector, bring down the overall leverage ratio, lower cost across the board, and strengthen the weak links in the economy, ranging from public services to infrastructure and institutions. "With these measures, we hope to make the supply side more adaptable and more innovative. Some initial progress has been made," Liu said. Since 2016, China has cut over 115 million tons of steel capacity, eliminated an additional 140 million tons of substandard steel capacity, and phased out over 500 million tons of coal capacity. Though these market clearing measures has led to price rises in some sectors, the total factor productivity growth stopped its decline and began to increase in 2016, Liu said. "The positive spillover of our supply-side structural reform is being felt across the world. Indeed, this is a reform that we must continue and see through," he added. According to Liu, China has to fight three critical battles in the next few years -- risk prevention, poverty reduction and pollution control. "For China to build a moderately prosperous society in all respects, we must fix the shortest plank in our development through winning these battles," he said. First, although China's financial system is basically sound with a high savings rate, China still needs to continue preventing and resolving major financial risks, Liu said. "Shadow banking and hidden debt for local governments are serious problems we have to deal with," he specified. Since the fourth quarter of 2017, China has had a marginally slower overall leverage ratio growth, which Liu said was a good sign. Second, China will continue with smarter, more targeted efforts to lift more people out of poverty. "We have set a target to basically eliminate absolute poverty in three years," he said. In 2018 alone, China will lift 10 million people from absolute poverty, including 2.8 million who will be relocated from areas suffering from harsh conditions. 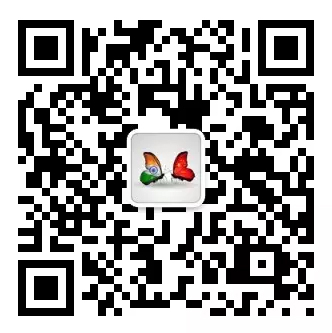 The third battle is to fight pollution continuously. "Green and low-carbon development is what the Chinese people want the most in a break with the traditional growth model," Liu said. China will fulfill its pledges to counter climate change and honor the Paris Agreement, he said. This year marks the 40th anniversary of China's reform and opening-up drive, which is the very reason behind China's robust growth over the past four decades. China has to advance reform and open up at a faster pace, Liu said. China will further integrate with international trade rules and ease market access. China will also substantially open up the services sector, the financial sector in particular, and create a more attractive investment environment, he said. China's vast domestic market, with a fast-growing middle-income population of 400 million, already the world's biggest, will contribute significantly to global development, Liu said. The official also warned that deep-seated problems in the world economy have yet to be fixed, calling for concerted global efforts. "Multiple risks and considerable uncertainties come in the form of high debts, asset bubbles, protectionism and the escalation of regional and international hotspots," Liu added. Liu's speech is part of the 400 forums, discussions and meetings during WEF 2018 that lasts from Jan. 23 to 26. Under the theme of "Creating a Shared Future in a Fractured World", this year's forum is bringing together a record number of heads of state, government and international organizations alongside leaders from business, civil society, and academia.